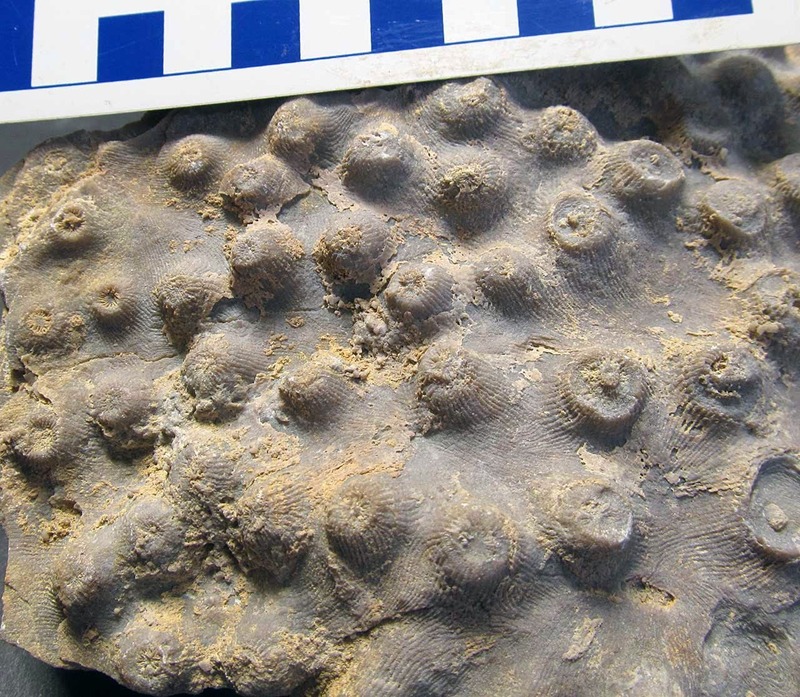 These images are of the surface details of an Arachnophyllum mammillaire (Owen) colonial coral fossil. 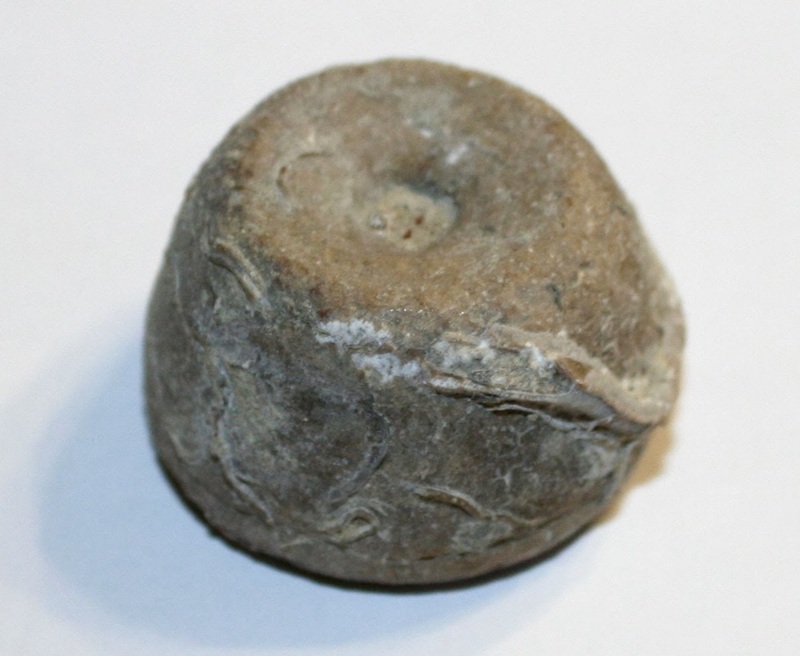 It was found in the Louisville Limestone of Jefferson County, Kentucky. 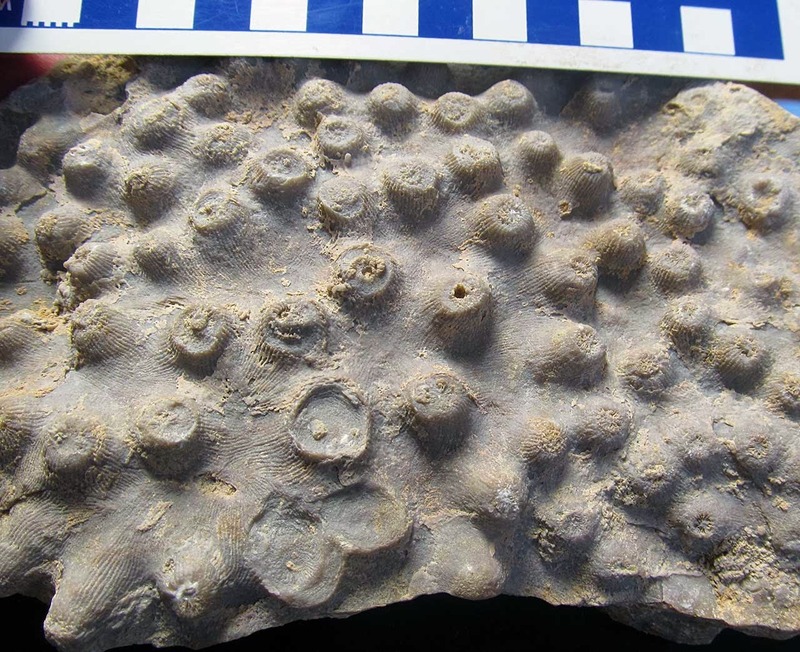 The fossil dates to the Middle Silurian Period. Thanks to Kenny for these pictures. 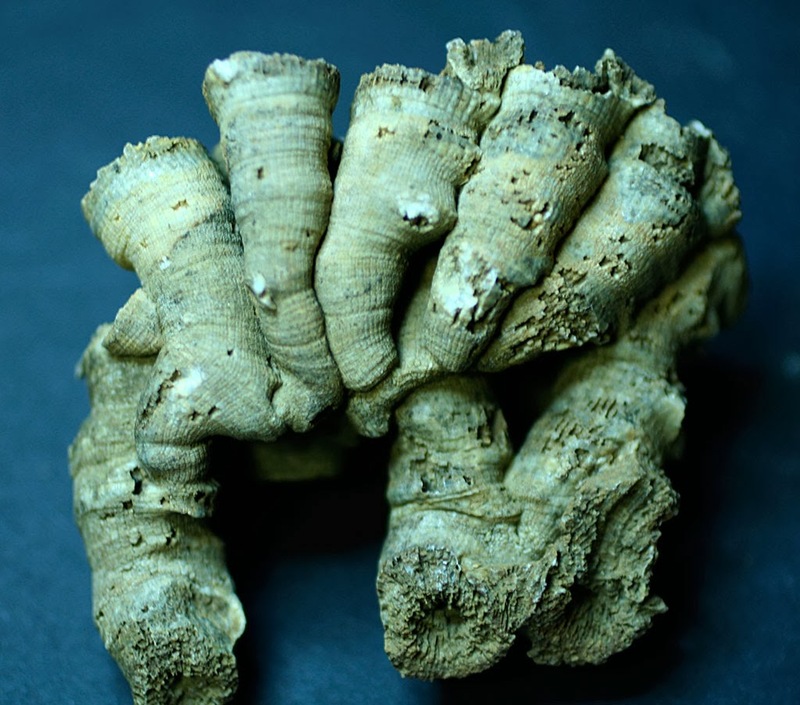 This fossil appears to be an Eridophyllum archiaci coral. 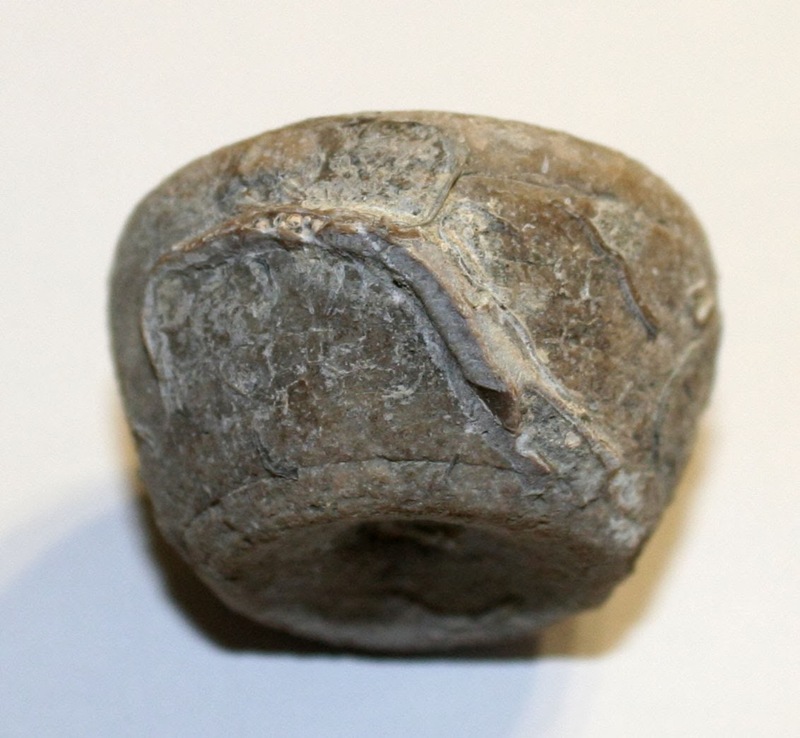 It was found in Clark County, Indiana USA (Beechwood Formation). 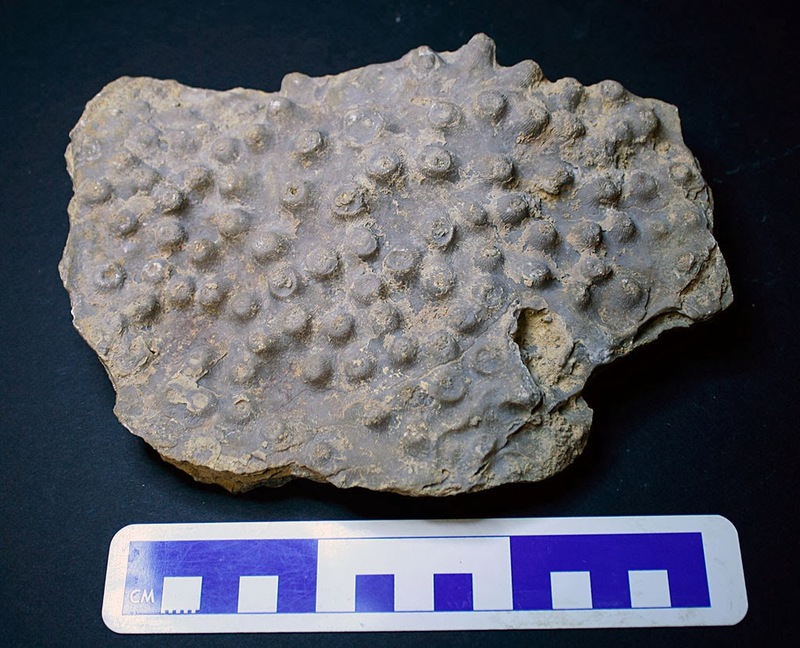 It dates to the Middle Devonian Period. Thanks to Kenny for letting me take pictures of it. 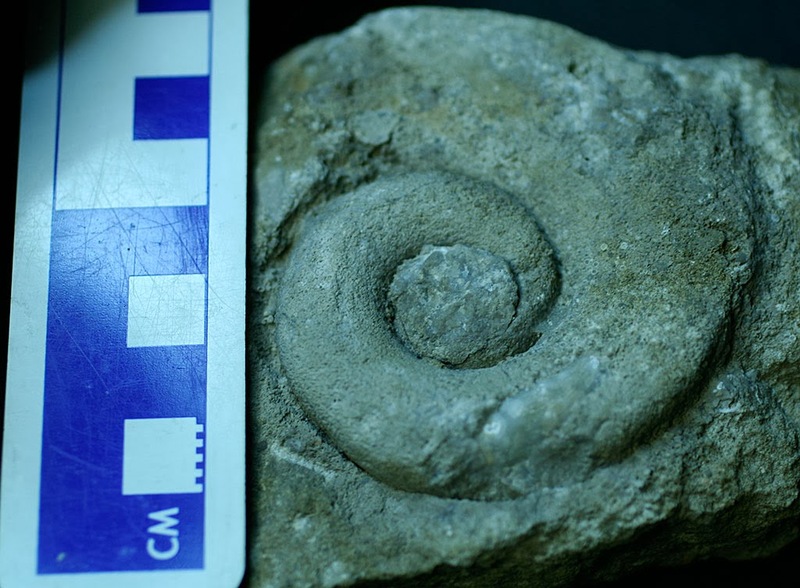 This fossil appears to be a Pleuronotus decewi (Conrad) gastropod. 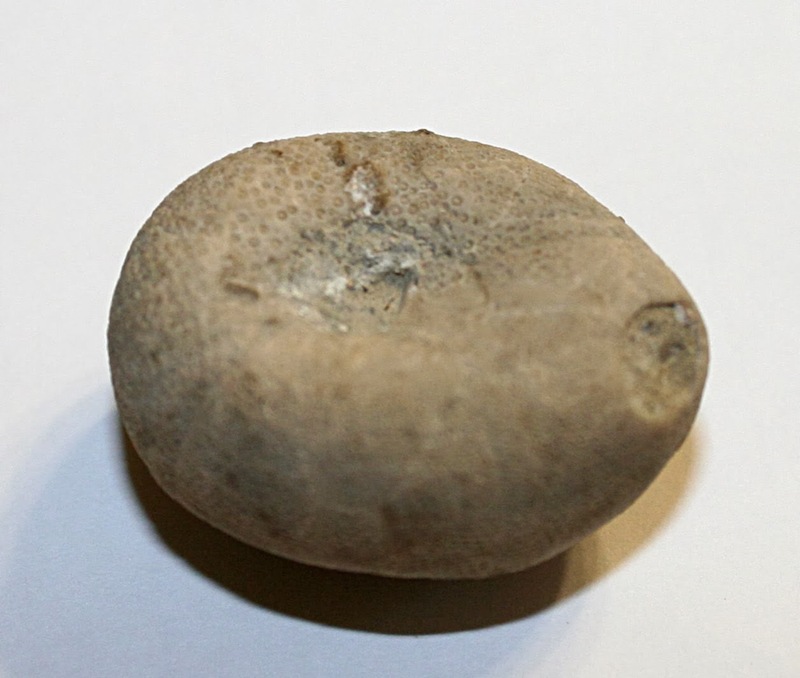 It was found in the Jeffersonville Limestone of Jefferson County, Kentucky, USA. 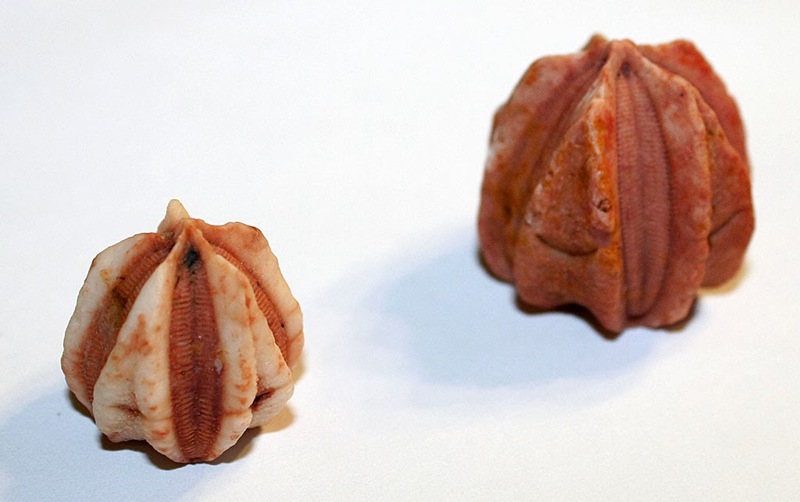 The fossil dates to the Middle Devonian Period. 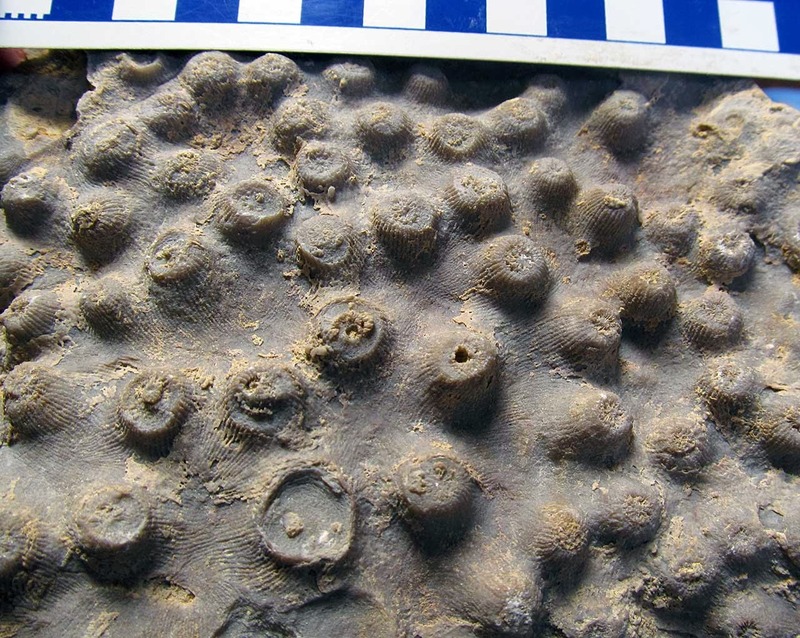 These fossils appear to be Deltablastus permicus blastoids found in the Sonnebait Formation of Timor. They date to the Permian Period. Thanks to Herb for letting me take pictures of them. 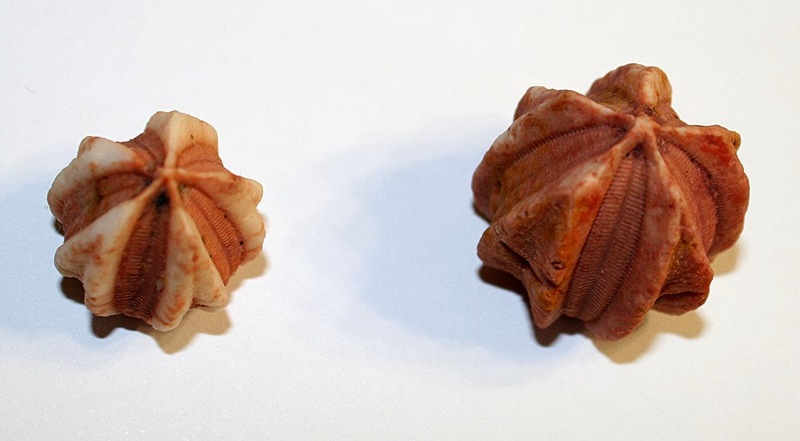 These images are of an Arachnophyllum mammillaire (Owen) colonial coral fossil. 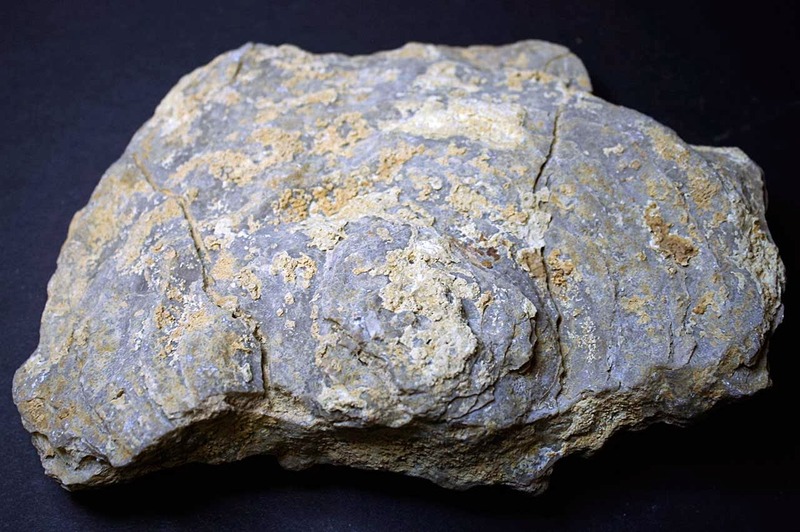 It was found in the Louisville Limestone of Jefferson County, Kentucky. 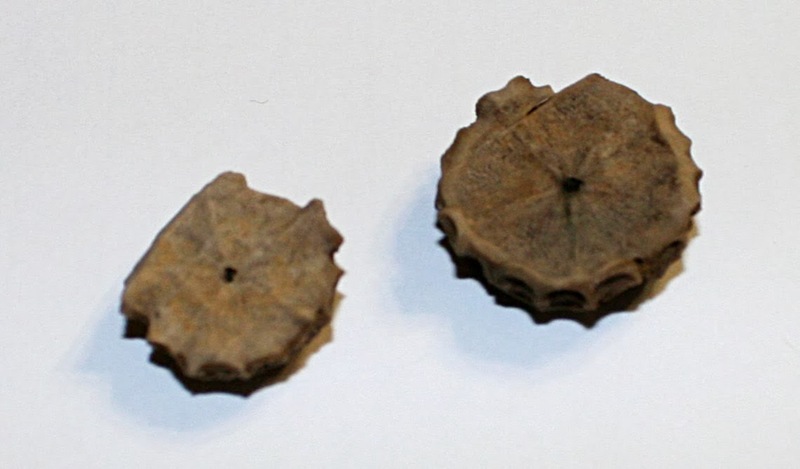 The fossil dates to the Middle Silurian Period. 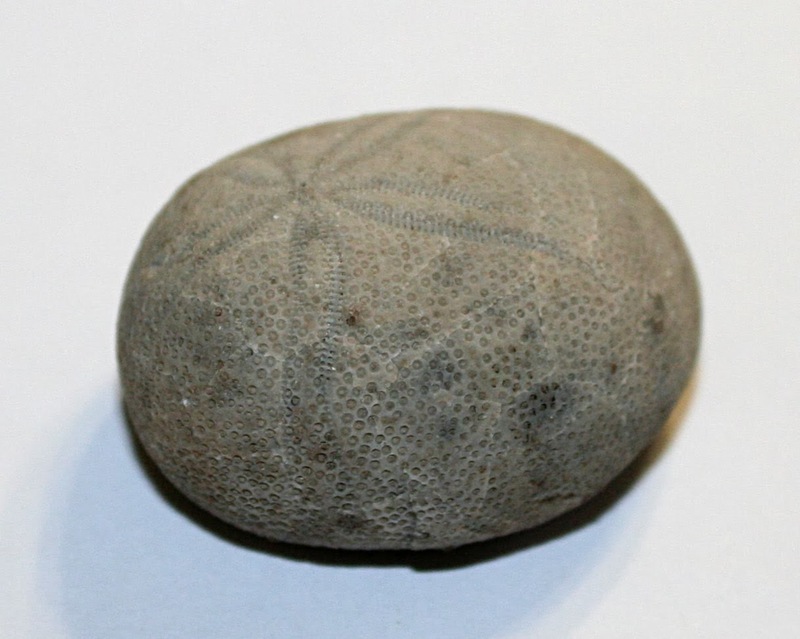 This picture is of the Petalobrissus rawdahensis (Smith, 1995) sea urchin fossil. 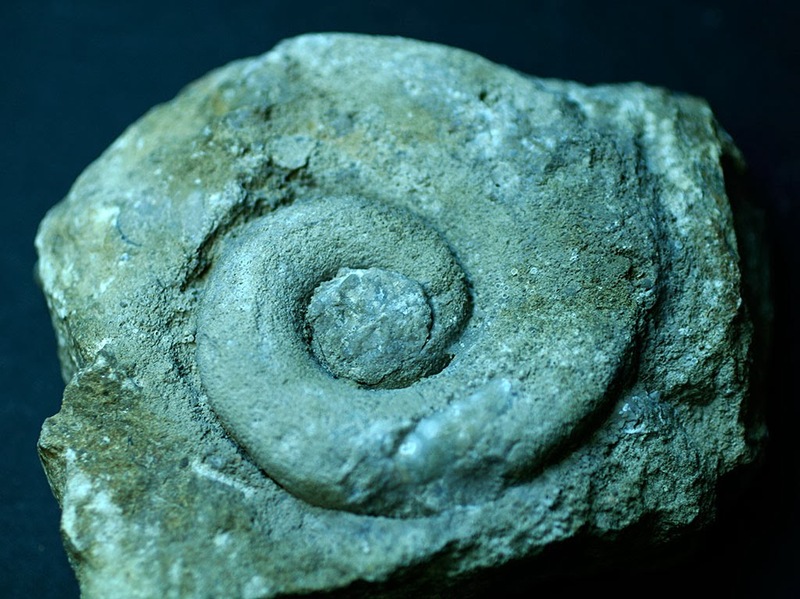 It existed in the Upper Cretaceous Period (Maastrichtian) and was found in Omán (Jebel Rawdah). 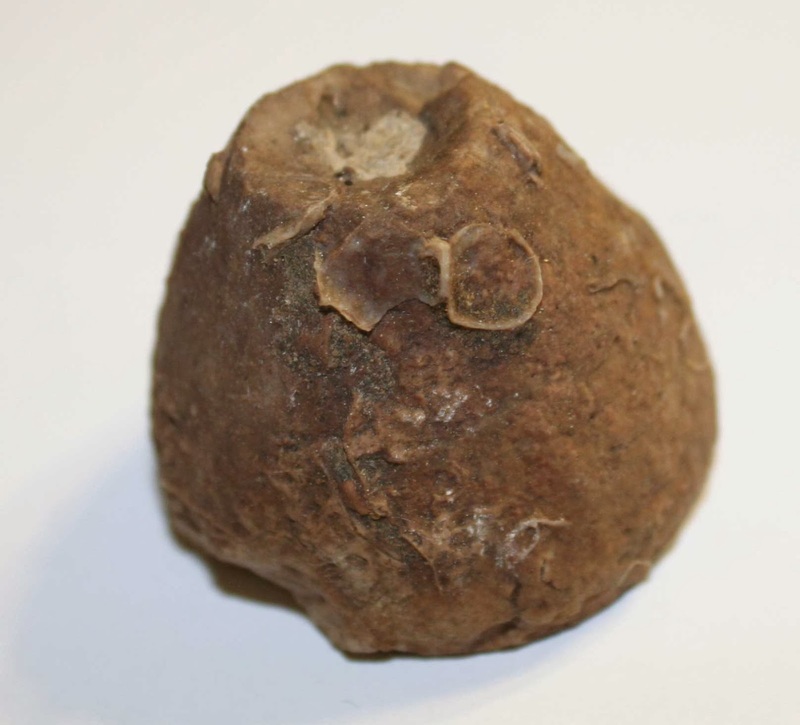 Specimen is about 1.5 cm in diameter. This picture is of several Decameros sp. 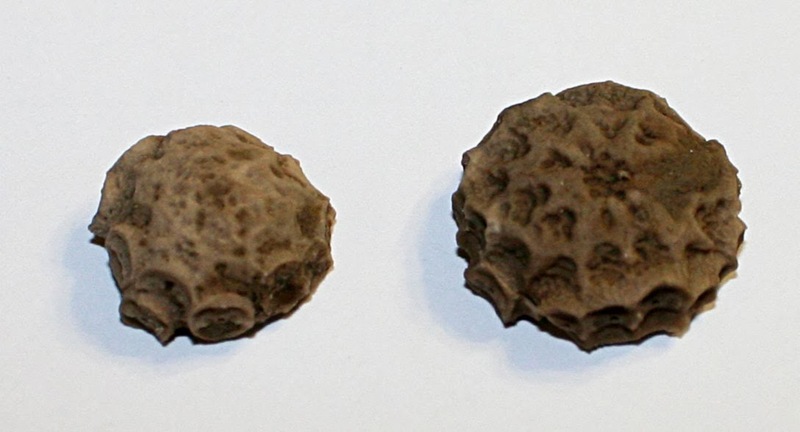 (Comatulidae) crinoid calyx fossils. They existed in the Cretaceous Period and was found in Spain (Morella or Castellón). 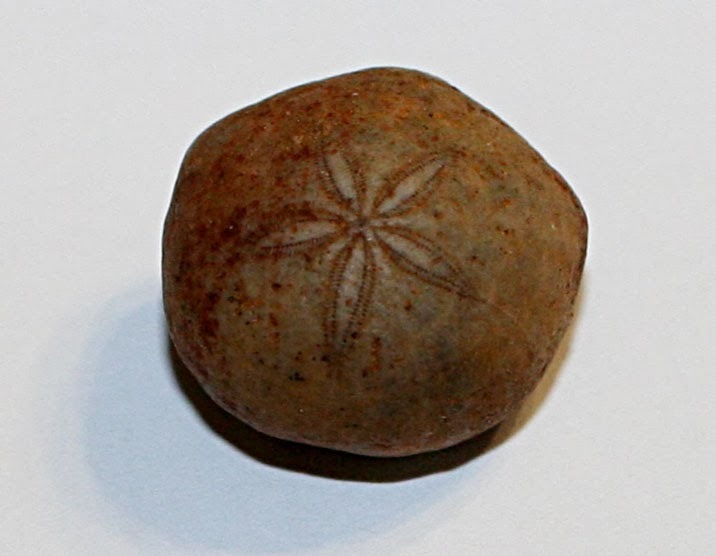 Specimens range in size to about 1 cm to 2 cm in diameter. 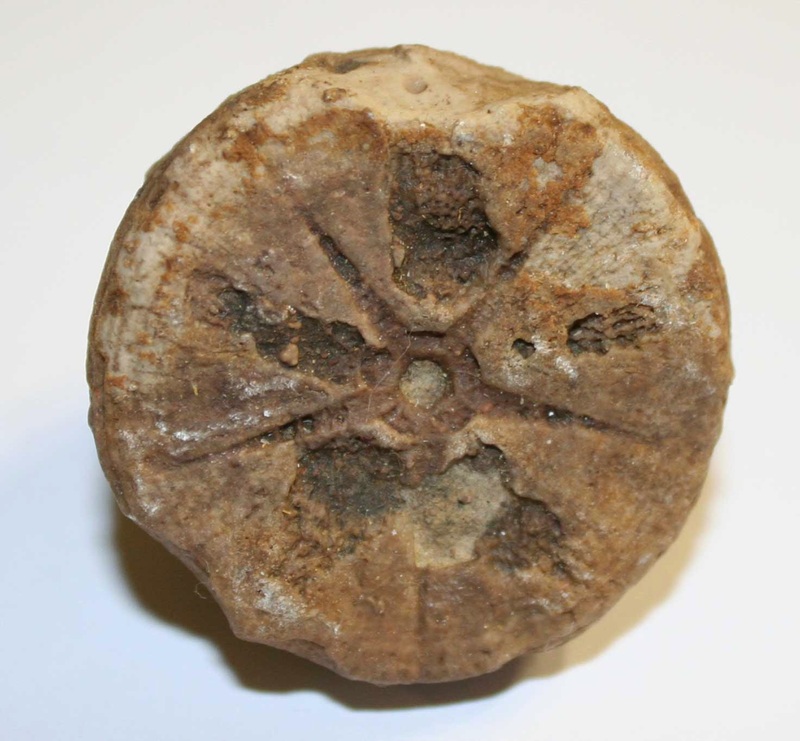 This picture is of the Faujasia eccentripora (Lees, 1928) sea urchin fossil. 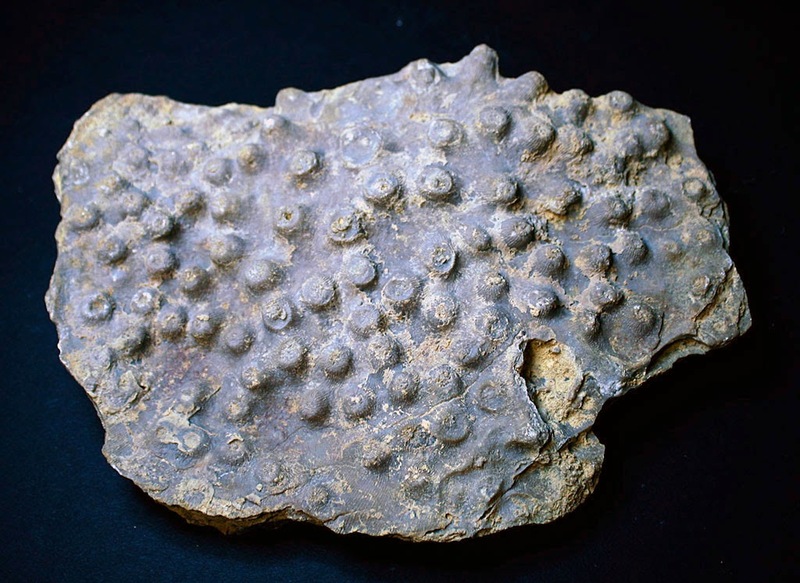 It existed in the Upper Cretaceous Period (Maastrichtian) and was found in Omán (Jebel Rawdah). 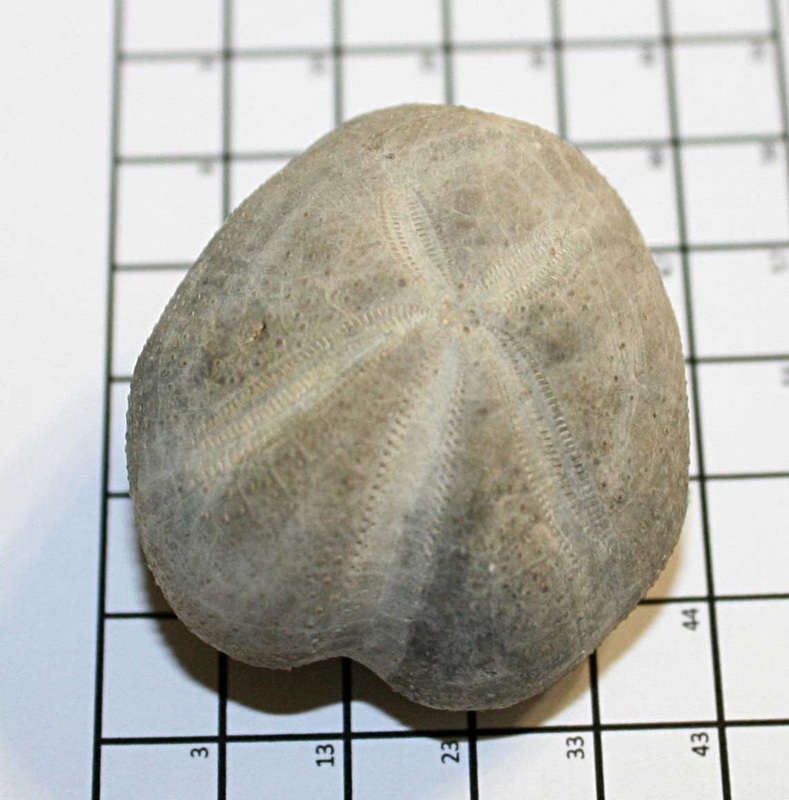 Specimen is about 2 cm in diameter. 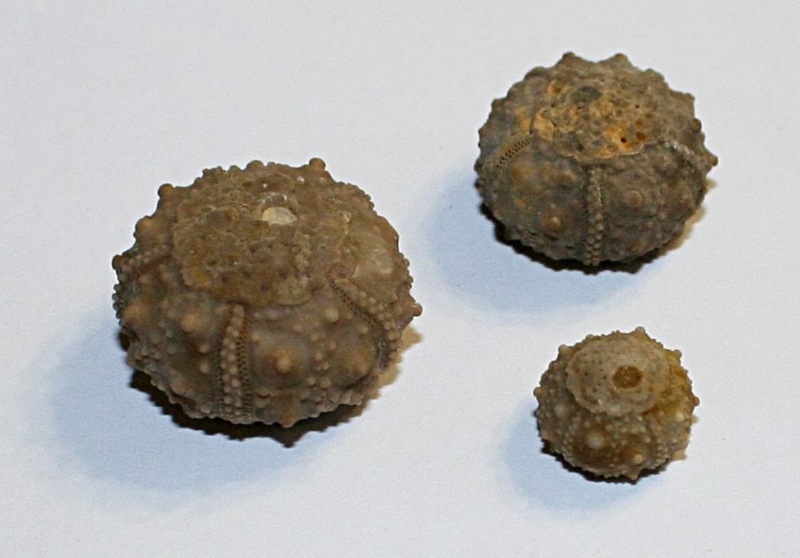 This picture is of several Salenia prestensis (Desor) sea urchin fossils. They existed in the Cretaceous Period and was found in Spain (Morella or Castellón). Specimens range in size to about 75 mm to 2 cm in diameter. 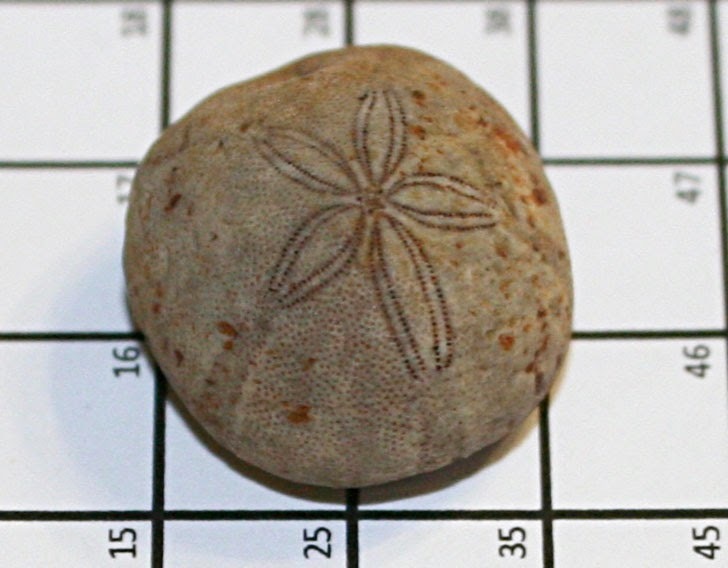 This picture is of the Echinlampas leymeriei (Cotteau, 1863) sea urchin fossil. 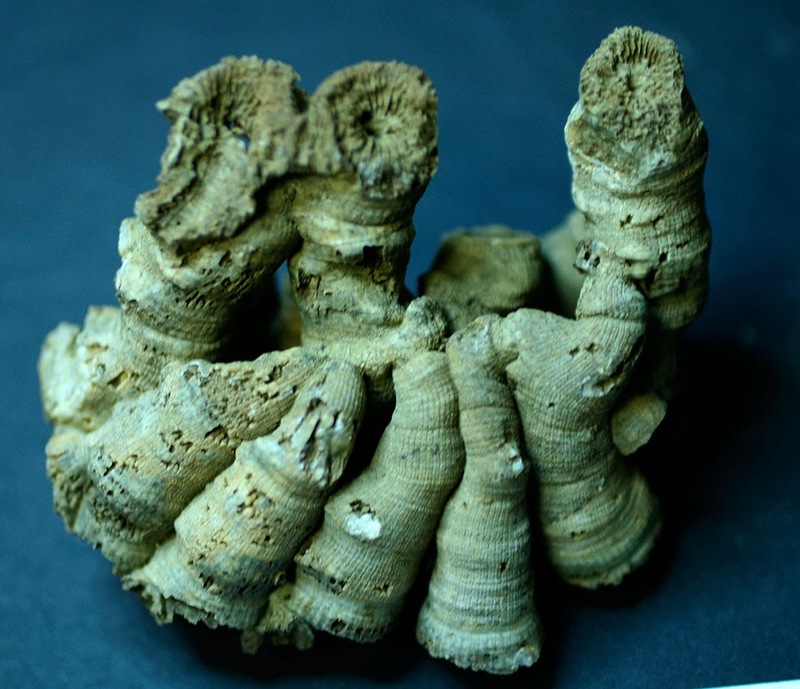 It existed in the Eocene Period and was found in Spain (Huesca). Specimen is about 3.5 cm long. 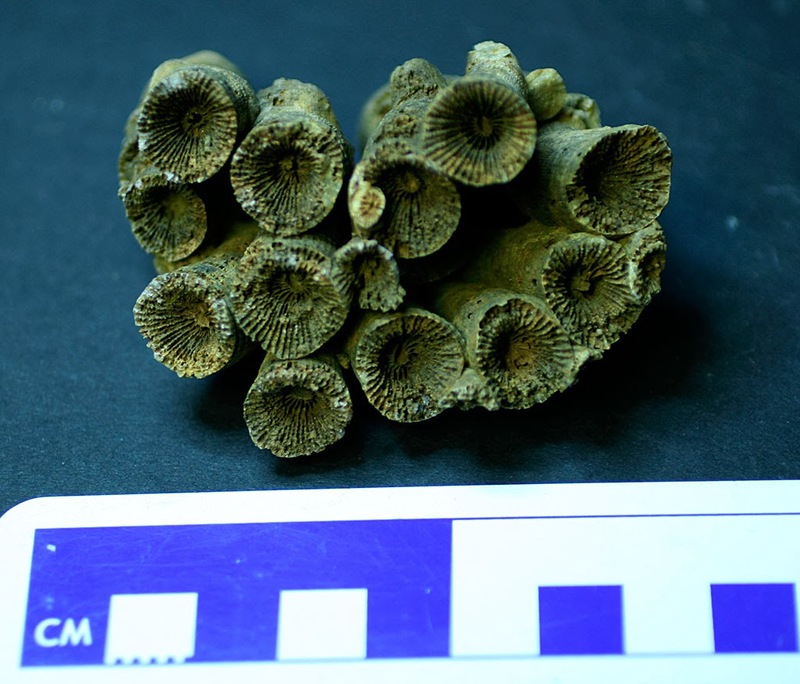 Here are some pictures of crinoid calyx cups of the Apiocrinites elegans. They were found in Albarracin, Spain. The creatures date to the Jurassic Period. 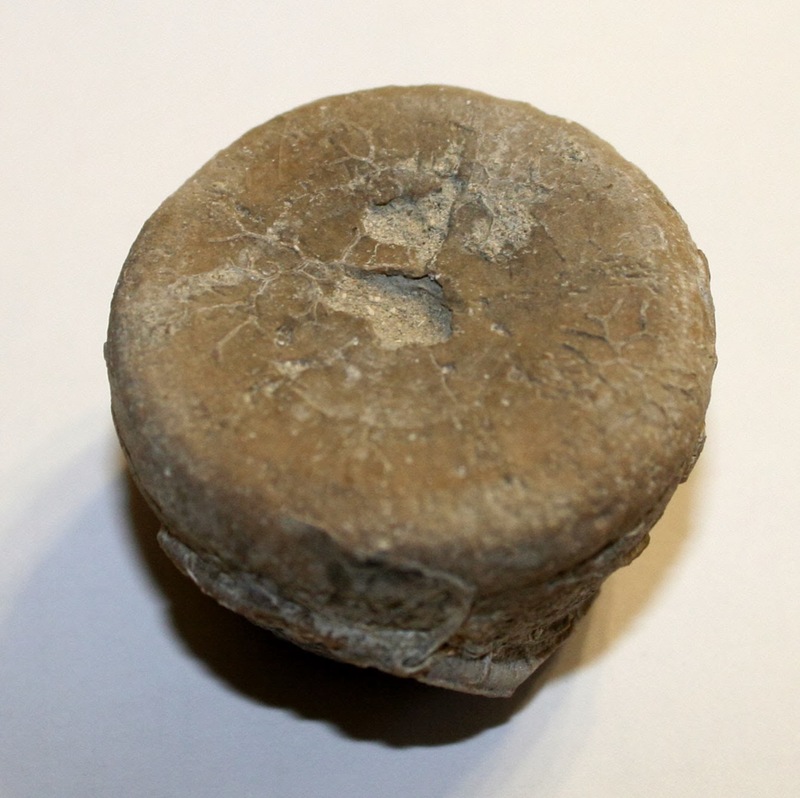 The larger cup is about 3.8 cm wide at its largest point. Note the worm tube on the smaller calyx cup. Thanks to Herb for letting me photograph them.